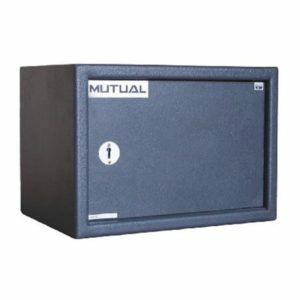 The Mutual range of SABS Gun Safes incorporate a high security re-locking device. 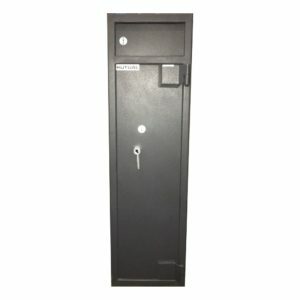 Solid steel locking bolts, as well as solid dead bolts. 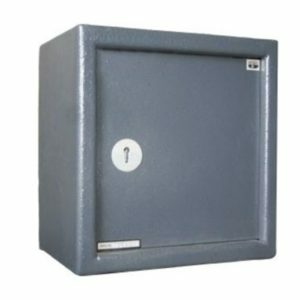 This prevents the door from being removed while in the locked position. 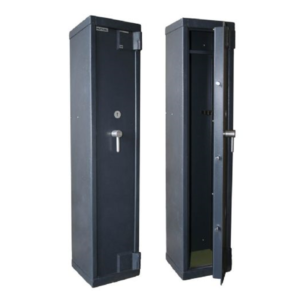 The complete range offers the option of an additional combination lock or key lock. 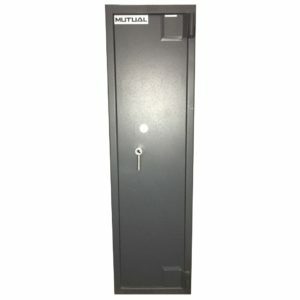 For those seeking the ultimate in security, the Mutual Gun Safe range provides the answer. 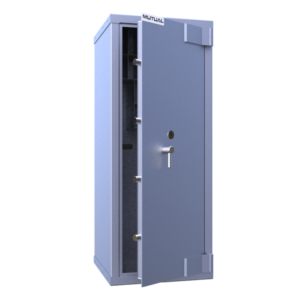 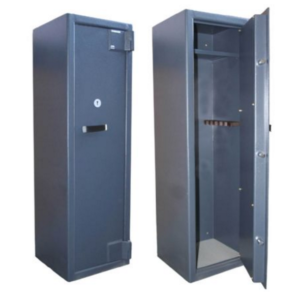 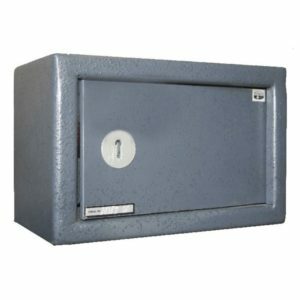 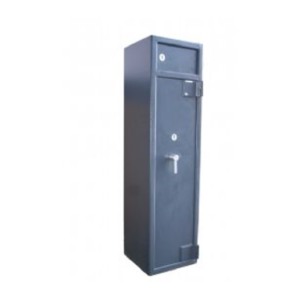 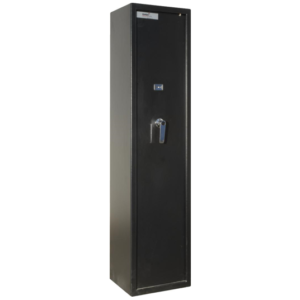 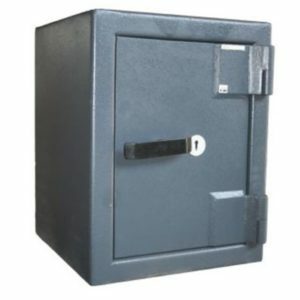 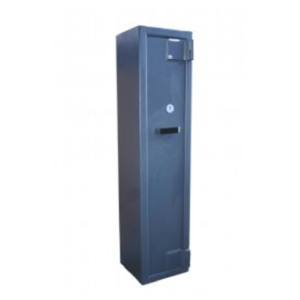 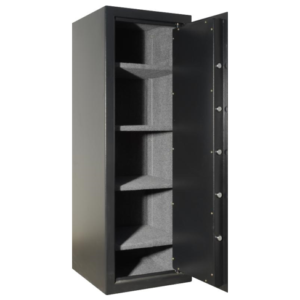 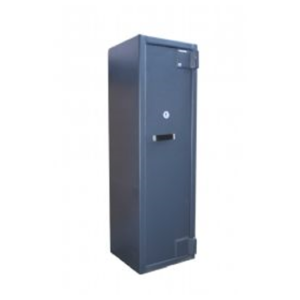 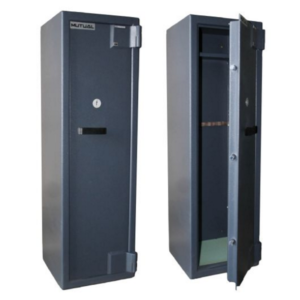 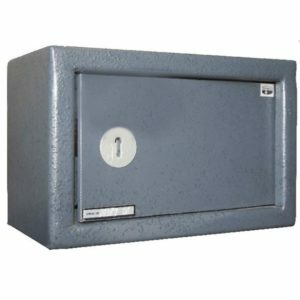 Our gun safes have a reinforced steel body and 1/4″ plate steel door that produces unbeatable security. 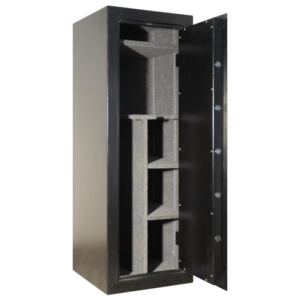 Introducing The Hunter, a revolutionary performance Gun Safe from the legendary Mutual Safes factory. 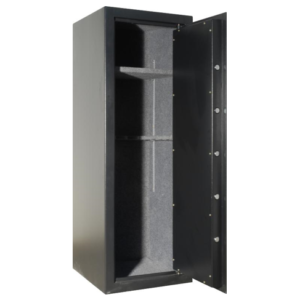 Designed exclusively to combine strong room level protection with aesthetically pleasing finishes, The Hunter delivers a performance to behold. 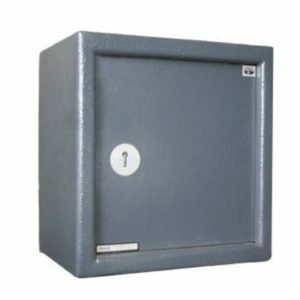 With a CAT2 ADM barrier material rating and a rugged Dual Direction 45mm Lock Bolt System.